There are two types of concealed carry, off body and on body. There are numerous ways one can carry off body; fanny packs, purses, and attaché cases are just a few. We’ll take a closer look at off body carry in a future column. Personally, I much prefer on body carry. It affords quicker access and a more secure firearm. 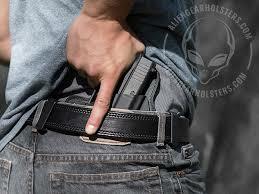 Outside the waistband holsters offer quick access and good security, especially if used on the strong side hip. OWB is a bit harder to conceal and often requires the user to “dress” around their gun. Presentation issues come with cross-draw, shoulder, and small of the back holsters and great care and practice is necessary to be competent with these types of carry. I am a strong proponent of inside the waistband carry. 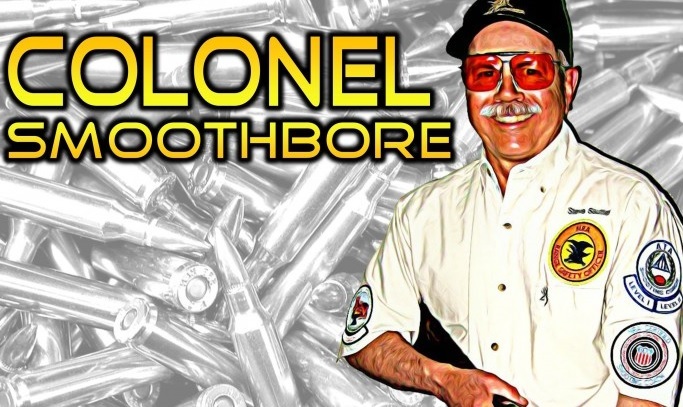 Access to the gun is almost as good as OWB and concealing the firearm is much easier. With the plethora of new small handguns on the market one can find a solid, reliable, and affordable pistol for just about any user. 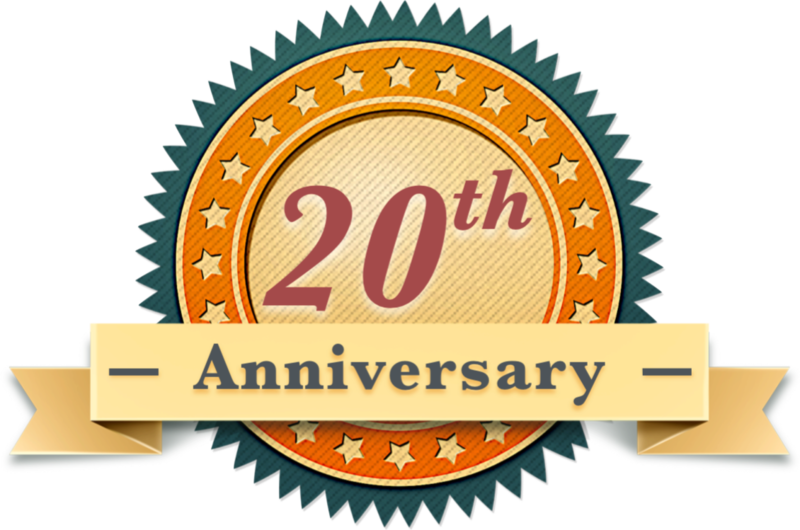 Guns like the M&P® Shield and Bodyguard 380, Ruger™ LCP, Glock™ 42 and 43, Springfield™ XDs, and others too numerous to list offer various levels of power in an easily concealable size. 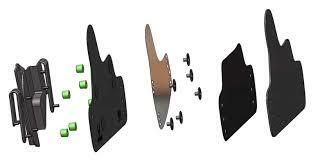 Dozens of companies are now making terrific IWB holsters. Most are what I call Crossbreed clones. They are very comfortable and easily removed if necessary. The holsters normally are made of three parts; the leather or synthetic back, a Kydex shell, and the hooks that attach everything to the user’s belt. 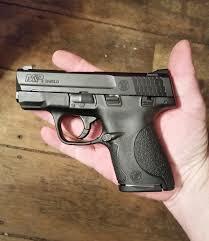 I have used one of these, mine is an Old Faithful brand, to carry a full-size M&P 45 for years. 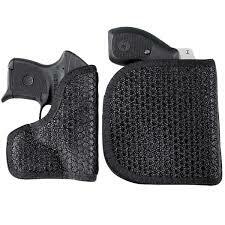 It is extremely comfortable and makes concealing the large pistol fairly easy. I wear it strong side hip. Other good carry options, especially with the little guns are appendix and pocket carry. I strongly recommend that with either method, use a holster. 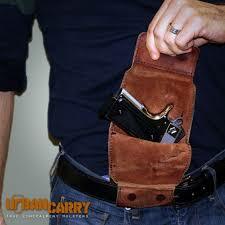 If using pocket carry, a holster like one of the DeSantis™ Nemesis or Galco leather pocket models are quite handy. They protect the trigger and hold the gun in a solid presentation position providing good safe access. Most all holster manufacturers offer a trial period so you can be sure that the one you buy is really the one you want to wear. This makes it possible if necessary to try several different designs and materials without ending up with a drawer full of holster “mistakes”. None of us are the same and what works for me might not work for others. 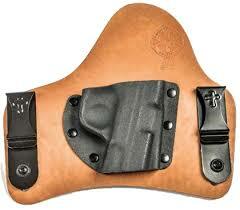 Fortunately like concealed carry guns, there is also a cornucopia of concealed carry holster options. Find one that works and use it every day.